The pressure is on. Bowling all night and it all comes down to one shot. Palms start sweating. Master has you covered. The Master Puff ball keeps your palms dry for those pressure situations..... and for holding the trophy. 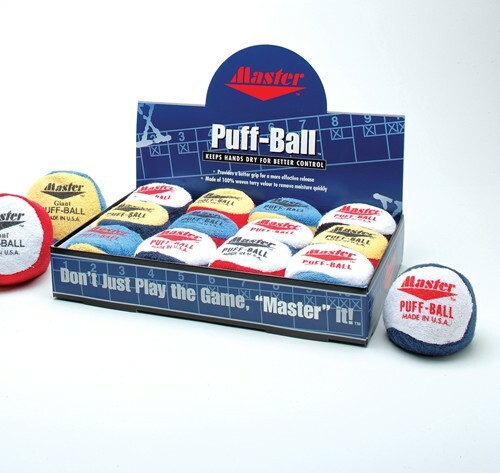 Due to the time it takes to produce the Master Puff-Ball Dozen ball it will ship in immediately. We cannot ship this ball outside the United States.